MediaTown partnered with Great Blue to launch a campaign to raise engagement and increase sales. 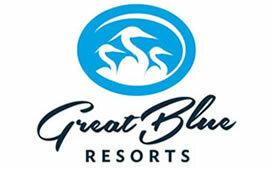 The campaign was designed to encourage people to share their favourite moments that they experienced at any Great Blue Resort. The campaign, featuring #TellGreatBlue, helped to provide important insight for the Great Blue sales, and operations team. This insight, was later used to tailor content, and make sure everyone had the best experience possible!